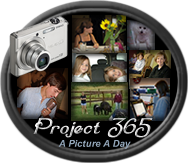 Click here to join in on the fun with Project 365. I have kinda slim pickin's this week. For some reason I just have had very many times of taking out my camera. But I'll show you what I got and then why don't you click up over there and see everyone else photos. It's always a lot of fun. And better yet, why don't you join in with us. According to Sara, it's never to late to start. Here's a picture of my youngest daughter's room. Never mind it's a little messy. I just wanted you to see her bright green walls. Currently this is her favorite color. Let me tell you when the sun shines into her room it's blinding! But she loves it, so therefore I love it. I love for my kids to be able to have their rooms the colors they want, well within reason anyway. They do the painting so it's okay with me. The oldest wanted hers bright red, but when I told her that was fine, but she had to paint it back to white before she moved out, she decided maybe she didn't want to do that after all. We figured it would take a lot of work to cover up a bright red. So hers is white, but she has one wall covered with book shelves and the window and then her other walls are covered with posters and her artwork, so I think the white really works better for her. She seems to like it, so as I said before, therefore I like it too. Yep, it's snowing some again. You can't really tell here, but it was all melting a lot but it keeps snowing on and off this week. I received this in the mail from Nel. More to come on this tomorrow or Tuesday! More snow! Nooooooooo! Ok God, I'll quit complaining because I trust you and I know you know what you're doing. It really is beautiful! Thank you! Colorado Springs, CO— Fiction lovers don’t need to budget to travel this spring break with Waterbrook Multnomah Publishing Group’s six full-length novels by beloved Christian authors (WaterBrook, February 16, 2010). At the low cost of only $6.99, these well-read “get-aways” provide quality entertainment at a price that any reader can afford. by Lisa Tawn Bergren – Tora, Elsa, Kaatje, and Karl face trouble, tragedy, and treachery across the Wast, Hawaii , Japan , and the high seas. These four immigrants from Bergen , Norway , each grow closer to God and learn afresh the value of faith, family, and coming alongside each other in times of need. by Al and Joanna Lacy – The adventures of certified medical nurse and dedicated Christian Breanna Baylor continue as she travels by wagon train to visit her sister, Dottie, in California . Little does she know that her most dangerous encounter might be with Jerrod, her brother-in-law, who’s suffering from dementia caused by combat fatigue. by Linda Lee Chaikin – Rogan Chantry faces danger from tribesmen, ruthless politicians, and his own family as he searches for gold in South Africa . In England , his beloved Evy is injured by a mysterious assailant. The greed and intrigue surrounding the diamond mines could very well drive them irrevocably apart. I received 2 of these books to review. My first review is here. The Golden Cross This is Book 2 in "The Heirs of Cahira O'Connor by Angela Elwell Hunt. Description from Back Cover of the Book: Aidan O'Connor was raised among pickpockets and prostitutes in a Dutch colony on Java, Indonesia. But when a world-famous cartographer discovers her natural artistic talent, she is given a chance to leave her troubled life behind. Disguised as a boy, Aidan joins her benefactor at sea and begins the work of drawing the flora and fauna of the new world. This fresh beginning leads her into adventure--and to a great love. But can this love survive the force of Aidan's past...and her ambitions for her future? My Thoughts: This was a pretty good book. It takes you to some really exotic places. I enjoyed the shipboard part of the story the most with her faking being a boy and the travel to the islands and the interactions with the natives, etc. If you like books that take place back in the mid-1600's and that have lots of adventure, you will enjoy this book. 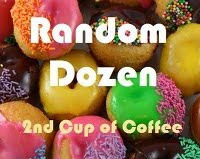 Click here to go visit Linda at 2nd cup of coffee to read more Random Dozen Posts or to make one of your own. You'll be glad you did. 1. Have you ever fired a gun or shot a bow and arrow? Yes. We took archery in gym class in high school and I fired a shotgun one time. 2. Do you know where your childhood best friends are? Yes, My best friends were cousins and I know where most of them are. And now I'm starting to find school friends on FB. 3. Do you usually arrive early, late, or on time? Depends on where I'm going. Probably a couple minutes early or right on time. 4. Are you more of a New York or California type? Never been to either, but I think maybe California. 5. Do you have a special ring tone? Yes, "Man of Constant Sorrow" It was supposed to be just for my hubby's calls but somehow I messed it up and it's my default so that's what plays for all my calls. I'll fix it someday...maybe. 6. What is your favorite type of chip? Husmann's BBQ. Man they burn your mouth up. Anything with Doris Day and Rock Hudson...and don't you dare ask who they are!! 8. Have you ever cut your own hair? To quote Dr. Phil, "How'd that work for ya?" Yes...well just my bangs. And sometimes it works and then sometimes...not so much. 9. If you were going to have an extreme makeover, would you rather it be about your house or your personal self? 11. Why is it so hard to change? Because the only one who likes change is a baby with a wet diaper. 12. One last question dedicated to February love: CS Lewis said, "To love is to be vulnerable." Please share one example of that assertion or share any thought you'd like to about this topic. When you love someone, they have the power to hurt you because you care so much. But if you're not willing to take the risk, what's the point of living. After all...remember the Bible says....the greatest of these is love. 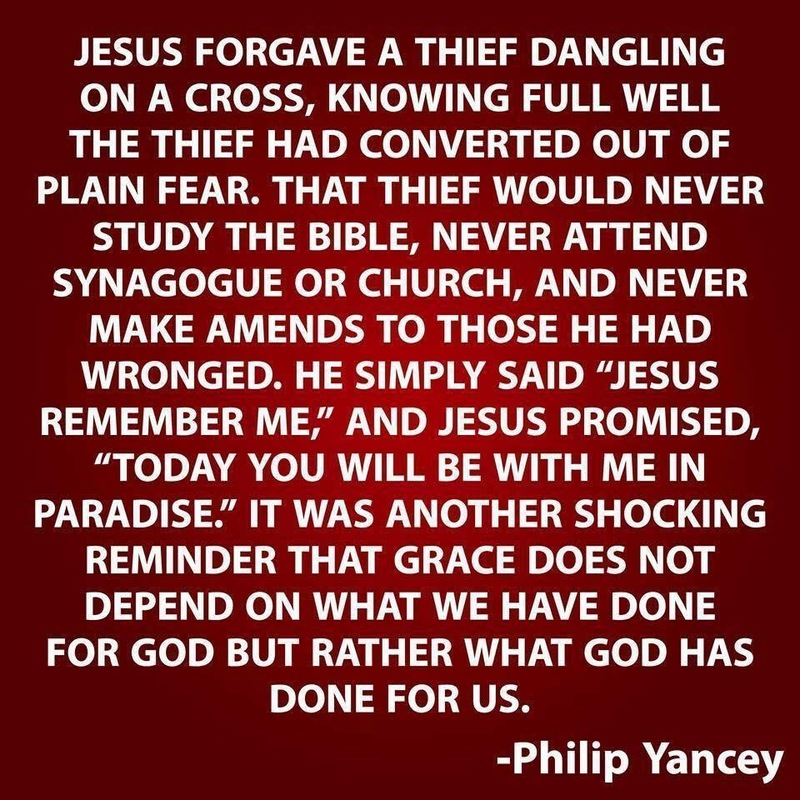 Remember Jesus took the risk and loved us and gave His life for us. I received 2 of these books to review. Here is the first one and I'll have the 2nd posted in the next couple of days. Description from back cover of the book: As they build new lives in America, Tora, Elsa, Kaatje, and Karl each experience a personal tragedy that threatens to destroy everything they left Norway to find. Tora's web of lies has cost her a successful future and the man she loves. When tragedy strikes, Elsa must draw upon her faith and all the strength she can muster to discover who she is and the path she must follow. After her husband's disappearance, Kaatje struggles to raise two young daughters and tend her farm, and Karl finds himself caught in a life of loneliness and emptiness. Only by placing their trust in God--and in each other--will they pass through these rough waters and find the safety of the harbor. Deep Harbor is book 2 in the Northern Light Series. My Thoughts: This book is very enjoyable. I have not read the first book in the series, but did not feel like I had missed out on anything that I needed to thoroughly enjoy this book. I loved each one of these characters. I disliked Tora at first, but as the story progressed she more and more became a favorite. Each one has their own storyline in the book and I thought at first it was a little confusing, but as I got to know each character, it became much easier. Ms. Bergren did a great job of developing each story and I totally loved this book. There was great adventure at times and descriptions of exotic places (at least to me) that I loved reading about. There were also times when the characters faced things that caused them to examine their faith and it also caused me to think about my faith. I love books that can do that. I definitely recommend reading this book. You won't be bored. More snow. My beautiful swing. We forgot to put it away this winter. I hope all this snow doesn't break it. I had to have a medical test and this is what my hands looked like when I got home. On the way to take Kerri to school, we saw this horse rolling in the snow. I was at a stop sign so no I didn't stop in the middle of the road to take this. Beautiful sunset in the subdivision where my parents live. If you look closely, you can see my computer screen at the left front and Kerri is curled up in the chair on the right with her computer and there's Kelli in front of the french door on her computer. I thought this was pretty funny. All three of us girls being geeky. Of course, Tracy was on his too, but he was in the bedroom. More icicles...this time on one of the banks. Kelli went inside to do her banking and I couldn't resist taking a picture. I got this from Kathleen at Heart 2 Heart earlier this week and wanted to share this with all of you that want to follow along and do the same. Although this begins with a salute to the Olympics, you'll notice about half-way through these questions that I turn the corner and go off on another path as fast as a luge rounding a bend. Hence the name: Random. 1. If you could compete in one Olympic event (not necessarily winter sports) what would it be? 2. Do remember a specific Olympic moment from the past? 3. Have you ever known anyone who competed in the Olympics? 4. If everyday activities were Olympic-worthy, which activity would you have a gold medal in? 5. Do you know anything about your ethnic heritage? 6. Do you enjoy sleeping late? Yes, but I seldom do any more. I'm more likely to get up and then go back an hour or 2 later and take a nap. Yes I know how, No I have never done it and pray I never need to. 8. Name one country you'd like to visit and explain why. 9. Have you ever fixed up a couple romantically? 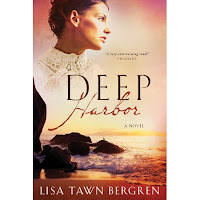 Deep Harbor by Lisa Tawn Bergren. I'll be writing a review of this next week. 11. Do you enjoy sleeping late? NO, YOU write the question! How's that for random?? OK my question is...Who is your favorite Christian Fiction Author? 12. What is your favorite meal at your favorite restaurant? Filet or prime rib at J Alexanders....to which Tracy and I should be going on Saturday to celebrate our 21st anniversary. This was a really quiet week for us...just lots of snow. So go visit Sara at Make Music from Your Heart to the Lord and see everyone else's pictures for the week as mine are pretty boring. Hubby and I waiting in the van for the girls. They were at a Super Bowl Party and the game was over and we were at the church to pick them up. To all the golf balls in our lives - have a great day. I received this in an e-mail and just had to share it with you all. I've seen something similar, but this one really touched me. Hope you like it too. children, health, friends, and favorite passions. Spend time with your life partner. I asked Kerri this question and her answer was, "Will I get grounded?" Guess we all know what that means...I'm grumpy. I'm happy for them, but not for me, because I have to go to work anyway. Ironing - not because I like it, but sometimes after I iron something I still don't think it looks real good. I really haven't thought about a song much today. I can do what's necessary when I'm upset, but the unnecessary will have to wait until I calm down. His looks and talent. He's good looking and he was the music minister at the church I started attending and man he was good at singing and playing the piano. It was a fun day and I remember in 5th grade my boyfriend got me a box of chocolates. I thought I was hot stuff. This is our week. Why don't you come and join in on the fun with the rest of us at Sara's blog Make Music From Your Heart. The moon was so big and beautiful. Unfortunately my pictures does not do it justice. Kerri wrapped in her Ohio State blanket on the computer that is now hers. I didn't get any pictures this day. This is what it looked like last night driving into town to pick up Kelli. Folks this was not rain, it was sleet and snow. This is what it looks like in our area now. And we're supposed to get more this week. The Sunshine Award – I Won! Check it Out! My new friend Nel at Fastenau Facts passed it on to me. I've met Nel while playing Random Dozen. Thank you Nel this is so sweet of you. 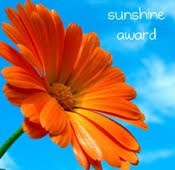 The Sunshine Award is awarded to bloggers whose positivity and creativity inspire others in the blog world. Below are the rules for accepting this awards. Pass the award on to 12 fellow bloggers. Let the nominees know they have received the award by commenting on their blog. Share the love and link to the person whom you received this award from. I love all my bloggy friends, but I believe this time I will mostly list some friends I've just met in the last few months and a few I've known a little longer and some a really long time. Wow! That really takes some time to do. But you know what, each one of you are worth it. And I hope each one reading this will check all these girls out. They are really neat people. And again I just want to say A Special Thank-You to Nel at Fastenau Facts Everyone needs to check her out too; she is one of my newest friends! Everyone at our house is on a snow day except me. Hubby just sent me an e-mail showing me the height of laziness. Of course, I had to show you. I think she's enjoying the day more than anyone! If you can't tell, she's laying across our bed (we throw that comforter over it so she doesn't get the bed dirty after tracking in from outside) and looks like she has some baseball magazines to look at and of course at her feet is her envelope. Yep our dog doesn't play with toys, instead she nibbles on that envelope. It's kind of a silky feeling mailing envelope. She doesn't tear it up, just nibbles it. Who knows?!? Hey! Actually thats my side of the bed. Dog you better be moved by the time I get home. Don't get too used to it! No way you're sleeping there tonight! Can you tell I'm jealous?!? 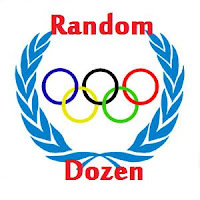 Linda from 2nd Cup of Coffee has posted the questions for Random Dozen Again. Looks like she had some help from Kelley at I Didn't Know That. Kelley gave the first 6 questions of this weeks dozen. So click on the link at Linda's (after you've read my answers of course...lol) and get your copy of the questions and then play along with the rest of us. It really is a lot of fun. Not usually because they always use just my name and most things I mail come from all of us or at least hubby and I.
Sunrise or sunset because I love all the beautiful colors. Check out my SkyWatch Friday posts and you'll see what I mean. I ate Alligator Tail and Squid and I think both were on the same vacation trip with my brother. Actually they were both pretty good. Nope and I really don't know what this means. (okay - thanks SouthLakesMom for the heads up on this one. Luke 19:40) No I've never heard a rock sing and I don't intend to because I never plan to stop praising Him! I was really hooked on a soap opera one time. It was "Days of Our Lives" I was so into it, that I would get angry if I had to miss it. This was back in my 20's when I worked 2nd shift and was always home during the day. I finally decided that it was crazy to be that hooked so I gave it up completely. Still to this day I have never watched a complete episode of that show. I've stopped in passing a couple times for just a minute or 2 but that's it. Now, I can really get into Survivor, but not so much that I'm actually angry when I miss it. Maybe a little miffed, but not angry. I do the really big ones, and usually 2 or 3 in a row. Nope. Actually I rarely ever read a newspaper other than Dear Abby and the comics. 12. At what time each day do you start thinking about lunch? We always laugh at work and say it's legal to start talking about lunch at 10:30am. There's a Valentines Girly-Girl Gift Basket Giveaway going on at Fresh Oil Today. Be sure to go enter to win. You won't want to miss out on this one. Here's a picture of the items Jackie is giving away. Actually she's giving away 2 Girly-Girl Gift Baskets.